The Newspaperman is an intriguing horror novel that follows Seth as he encounters a newspaperman selling newspapers with bizarre stories. What was the inspiration for the newspaperman and the stories he sells? The story stemmed from this vision I had of a swarthy-looking, rough-around-the-edges guy—Cedrick, the Newspaperman—who’s trying to be an enthusiastic gentleman but isn’t fooling the main character of the story, Seth Kesler. I liked the idea of such a guy replacing the wholesome image we’ve all seen of the young boy from the 1930s selling newspapers on the corner, so I put Cedrick in Depression-era clothing and let him go to town in the year 2016. That whole image I had of Cedrick on the street corner kind of got the story off and running. In the beginning, the stories in the C-U Journal are legitimate, but they quickly devolve into total garbage, and poor Seth is the only one who can see that. It’s like an episode of The Twilight Zone. I wrote the first draft of The Newspaperman in one month in December of 2016, not long after graduating with a master’s degree in journalism from the University of Illinois at Urbana-Champaign. I don’t work as a journalist for a living, but at the time I had all this fresh journalism knowledge, and I needed a new project since I wasn’t in school anymore. So the ideas I had for The Newspaperman just came pouring out. It was fun to write. This is an entertaining story that is high in social commentary. What were some themes you wanted to focus on when writing this book? Thank you very much. Obviously I was looking to highlight the sordid fake news we’ve all seen, which has become more prevalent in recent years. Some of those fake stories are very well written, so it can be hard to tell what’s what, especially if you don’t read news from legitimate sources that often. I love the character Meghan, Seth’s wife, in The Newspaperman because she’s such a perfect foil to her husband. He’s almost this journalistic snob while Meghan represents the American masses who mindlessly scroll through their phones all day and night looking at useless junk. She’s clueless in some ways but also lovable. Many things are exaggerated in this book to make a point, so readers should go into the story knowing that. Beyond the issue of fake news, I wanted to write a book that highlighted the importance of journalism to society in general in a non-political way. On subsequent rewrites after the first draft, I really made an effort to do that. I love the portion of the book where readers get to read Seth’s impassioned letter about why good journalism is crucial, and also the part when he and Meghan are in bed and Seth is explaining why he’s on such a crusade to save journalism. Poor Meghan is crying because she loves Seth and doesn’t want him to step in to any danger, but he plows ahead anyway. Seth is an interesting character that continued to develop as the story progressed. Did you plan his character progression or did it develop organically? Thanks. I’d have to say the progression of Seth’s character grew organically as I wrote the story and he grew as he faced these issues. I knew from the get-go that Seth was going to be the one sane guy in this story who could rationally see what was going on, and as he was bumping up against these strange characters and observing all this craziness around him, as you said, his character evolved. Some people have told me they found Seth’s personality to be rather passive considering all the madness around him, but when I read the book and see the things Seth was trying to do, I don’t view him as passive in the least. In my opinion he was trying hard to change what was around him, all the while in disbelief about what was happening. This past summer I wrote a 10,000-word story called The Millionaire’s Gift, which is a sequel to a novel I wrote called The Millionaire’s Cross. It’s supposed to be published in an upcoming anthology, and I’m not sure at this point if I’m at liberty to say who the publisher is. But I hope it comes out and it gets some exposure and people read it. I had another idea for a novel and was thinking of writing it this November in the National Novel Writing Month contest. I guess I’d better decide pretty quickly if I’m going to do that or not! Seth Kesler is thrilled to discover that the defunct C-U Journal is making a comeback. He loves newspapers and believes it is his—and society’s—civic duty to read them. 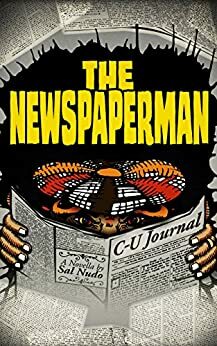 But something is deeply off about the new publication in Champaign-Urbana, starting with the oily paper-hawker he dubs the Newspaperman, who hand-sells the C-U Journal for a mere dime on a downtown street corner. Seth’s delight soon turns to dismay when he sees the bizarre stories printed as fact and mysterious goings-on at the once-esteemed paper’s main office. 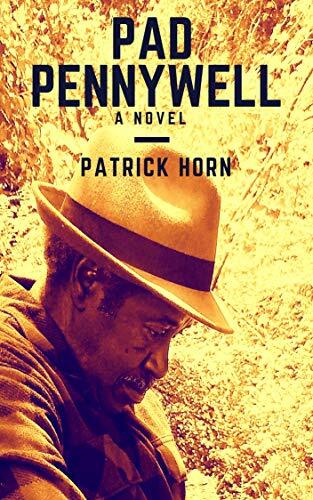 He makes it his goal to put a stop to the whole shady operation, even though it means battling news titan Richard W. Fields, a multimillionaire who represents the worst of an exploitive corporate world.